342.48 (+/-) ACRES OF DEVELOPMENT LAND FOR SALE. 327 (+/-) ACRES TILLABLE. 15 (+/-) ACRES NON TILLABLE. LAND RENTS FOR $185/TILLABLE ACRE ON A YEAR TO YEAR BASIS. THIS . . . BECOME A LAND BARREN WHEN YOU BUY ALL THIS AGRICULTURAL LAND, APPROX 159.19 ACRES IN THE VILLAGE OF HARRISON. ENJOY OVER 128 ACRES TILLABLE (APPROX. CURRENTLY RENTED) . . .
ONE OF THE LARGEST CONTIGUOUS TILLABLE PARCELS TO BE OFFERED IN POLK COUNTY IN DECADES. 4TH GENERATION FARM, HAS OUTSTANDING CROP HISTORY. DIMENSIONS &AMP; AREAS ARE . . .
WHAT AN AMAZING OPPORTUNITY TO OWN 140 CONTIGUOUS ACRES! LOCATION IS KEY FOR THIS PROPERTY; ONLY 30 MINUTES FROM STILLWATER &AMP; JUST A FEW MINUTES IN EITHER DIRECTION . . .
A RARELY SEEN AVAILABLE 215 ACRE FARM 5 MILES EAST OF ARCADIA. APPROX. 140 ACRES TILLABLE GROUND, 20 ACRES PASTURE, 50 ACRES WOODS AND SOME INCREDIBLE HILLS. GREAT . . .
RARE OPPORTUNITY! AMAZING LOCATION! SUNSET CURVE FARM PROPERTY INCLUDES 140.5 ACRES OF RESIDENTIAL, AGRICULTURAL AND FOREST AG LAND WITH ACCESS TO WALLA WALLA CREEK. . . . HIGHLY DEVELOPABLE 60+ ACRES IN THE CITY OF ST CROIX FALLS, DIRECTLY SE OF THE MENARDS INTERSECTION. ABOUT 15 ACRES IS WOODED, BALANCE IS TILLABLE, ALREADY HAS A 1/4 . . . APPROXIMATELY 54 ACRE SITE, WOODED, PARTIALLY TILLABLE, YEAR ROUND CREEK WITH APPROX 620 FEET OF LAKE WINNEBAGO WATER FRONTAGE. THERE IS CURRENTLY A HOUSE ON SITE AND A . . . INCREDIBLE LAND FOR SALE BETWEEN GREEN BAY AND APPLETON!! ACRES OF ROLLING HILLS, SCENIC VIEWS, FRUIT TREES AND TILLABLE LAND! THIS LAND HAS POTENTIAL FOR WALK OUT HOMES . . . THIS 160 ACRE HANCOCK PROPERTY PROVIDES THE BEST OF BOTH WORLDS � IRRIGATED CROPLAND AND A SIGNIFICANT HUNTING CORRIDOR. APPROXIMATELY 125 ACRES OF IRRIGATED, TILLABLE . . .
3 PARCELS APPROX. 40 ACRES EACH. MOSTLY TILLABLE CROP LAND, SOME MARSH.(APPROX. 11 ACRES). COURTESY: PREFERRED PROPERTIES OF FDL, INC.
TURN-KEY HUNTING PROPERTY WITH 3 BR CABIN BUILT IN 2006 WITH ALL THE AMENITIES OF HOME. 107 WOODED ACRES AND 67 ACRES TILLABLE. 4 BOX BLINDS AND 15 TREE STANDS SET UP . . .
MOSTLY ALL TILLABLE AND GENTLY ROLLING FARM LAND OF APPROX. 97 ACRES +/-. HOUSE AND BUILDINGS ARE NOT INCLUDED. EXACT ACREAGE WILL BE DETERMINED BY A SURVEY OF PARCEL(S) . . . NEED SPACE? BEAUTIFUL 4 BEDROOM 4 BATH 2-STORY HOME ON 136 ACRES! HOME SET WELL OFF ROAD, OVER 2700FT' FINISHED. FEATURES 9' CEILING, TILE &AMP; HARDWOOD FLOORS, EAT-IN . . .
160 ACRES PRIME HUNTING LAND. ONLY 30 MINUTES FROM GREEN BAY. TRAIL SYSTEM MEANDERS THROUGH PROPERTY W/ 7 ELEVATED BLINDS OFFERING EXCELLENT HUNTING WITH PREVAILING . . . COURTESY: TODD WIESE HOMESELLING SYSTEM, INC.
APPROX 85 ACRES OF HIGH QUALITY CROP PRODUCING TILLABLE LAND. ALL 85 ACRES MADE UP FROM 4 PARCELS TO COMPLETE ONE FIELD. PRICE OF $595,000 IS BASED ON $7000 PER ACRE. . . .
BEAUTIFUL, POLK COUNTY HOME AND FARM! THE BUILDINGS INCLUDE THE HOME, A GARAGE WITH SEPARATE LIVING QUARTERS THAT INCLUDE A HUGE LOFT BEDROOM, A 30' X 55' HEATED SHOP . . .
160 ACRES IN THE HEART OF BIG BUCK COUNTRY. MIXTURE OF WOODED AND TILLABLE LAND (APPROXIMATELY 45 ACRES) WITH ROLLING HILLS, RAVINES AND SECLUDED FIELDS FOR FOOD PLOTS. . . .
JUST A REMARKABLE PROPERTY WITH A MIX OF TILLABLE FIELDS OF APPROXIMATELY 25 ACRES AND WOODS ON THE REMAINDER WITH EXCELLENT HUNTING. INCOME FROM THE TILLABLE GROUND . . .
PRIME 77 ACRES OF LAND! GREAT FARMLAND OR FUTURE DEVELOPMENT? 75 TILLABLE. WATCH THE SUN RISE AND SET ON THIS BEAUTIFUL HEAVEN-LIKE PROPERTY. IMAGINE THE POSSIBILITIES! THIS GORGEOUS 40 ACRE PARCEL WITH BARN, SILOS AND SHEDS HAS MULTIPLE USES, EITHER AS TILLABLE LAND WITH MACHINERY STORAGE OR FUTURE . . .
147.87 ACRES OF WHICH NEARLY ALL OF THE PROPERTY IS PRODUCTIVE TILLABLE FARM LAND. THERE ARE FOUR LEVEL AND GRAVELED FIELD ENTRANCES/APPROACHES AND A DITCHING SYSTEM FOR . . . THIS IS AN OUTSTANDING TILLABLE OPPORTUNITY, WITH WELL ESTABLISHED PRODUCTION HISTORY PLEASE REVIEW THE ATTACHED SUPPLEMENTS. THIS PARCEL IS A WONDERFUL MIXTURE OF FARMLAND &AMP; WOODS THAT INCLUDE 90+ ACRES OF TILLABLE LAND. WILDLIFE GALORE, INCLUDING OUTSTANDING DEER HABITAT. A SMALL POND IS . . .
RARE OPPORTUNITY SO CLOSE TO TOWN. 40 ACRES OF FARM LAND OFFERING THE CHANCE TO BUILD A DREAM. HORSES, TILLABLE LAND, AND SO MUCH MORE. A FARMSTEAD AWAITS YOU. ALONG THE . . .
APPROX. 162 ACRES LOCATED JUST A COUPLE MILES SOUTHWEST OF MERIDEAN, WI. THE CHIPPEWA RIVER STATE TRAIL PASSES THROUGH THE PROPERTY. QDM HAS BEEN PRACTICED FOR MANY . . .
APPROX. 160 ACRES OF TILLABLE &AMP; WOODED. MAY BE SPLIT INTO SMALLER PARCELS. BUILDABLE. GREAT POTENTIAL! 86 ACRES 3 MILES WEST OF MENOMONIE ON QUIET DEAD-END ROAD. CURRENTLY THERE ARE 4 COMPLETED LOTS READY FOR SALE AND A CONCEPT PLAN DESIGN FOR FUTURE . . . 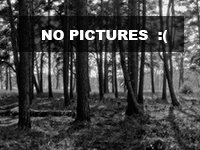 APPROXIMATELY 55 ACRES IN TILLABLE GROUND AND THE REMAINDER WOODED AND MARSHY HUNTING GROUND THAT IS LOADED WITH DEER. LIKELY BUILDABLE SPOT PENDING A SOIL TEST. . . .
70 ACRES OF PRIME TILLABLE GROUND, LOCATED BETWEEN HAMMOD AND AND BALDWIN AND JUST 1/2 MILE N OF HWY 12. THE LAND HAS A GENTLE ROLL TO IT AND MAJOR SOIL TYPES INCLUDE . . .
SOUGHT AFTER BOWER CREEK PROPERTY FOR SALE. 29 + ACRES. WETLANDS ARE INDICATED BUT NOT DELINEATED. FSA INDICATES THERE ARE 28.84 TILLABLE ACRES. ADJACENT TO CREEK. AN . . . SIZEABLE AND PRODUCTIVE PARCEL OF TILLABLE GROUND. IN A WELL SITUATED AREA OF DOOR COUNTY. PROPERTY COULD BE BUILT ON FARMED OR OTHER POSSIBILITIES SUCH AS AN APPLE . . . TRULY ONE OF A KIND PROPERTY! A NATURE LOVER'S PARADISE- THIS 40 ACRE PARCEL LOCATED JUST PAST THE BROWN COUNTY LINE ON HWY V IN KEWAUNEE COUNTY OFFERS ROUGHLY 30 ACRES . . . APPROXIMATELY 80 ACRES, 28 +/- ACRES OF WOODED AND THE REMAINING IS TILLABLE CROPLAND. HUNTER'S PARADISE! PROPERTY IS CURRENTLY UNDER USE VALUES ASSESSMENT LAW. SELLER . . .
APPX 100 ACRES OF BEAUTIFUL WOODLAND, TILLABLE AND POND ALONG THE SCENIC GREAT RIVER RD (HWY 35) IN GORGEOUS BUFFALO COUNTY WI. HUNT 160+ CLASS WHITETAIL BUCKS IN ONE OF . . .
75 ACRES OF TILLABLE LAND, ACCESSIBLE BY 2 PAVED ROADS. ORIGINAL HOMESTEAD, BARN AND 5 ACRES ARE ALSO AVAILABLE FOR PURCHASE. TOWN OF FREEDOM, FOREST CTY ALMOST 120 ACRES. (3) SEPARATE 40 ACRE PARCELS. THERE IS TILLABLE LAND ALONG WITH WOODS. WAS ONCE A SMALL FARM - THERE IS A NICE SIZE LAKE . . . COURTESY: COLDWELL BANKER BARTELS REAL ESTATE, INC.
A RARE OPPORTUNITY TO PURCHASE APPROXIMATELY 55 ACRES TILLABLE LAND IN SCENIC TRIMBELLE TOWNSHIP. **HOME AND ADDITIONAL 10 ACRES IS AVAILABLE ADJACENT TO THIS PARCEL FOR . . .
TILLABLE ACREAGE HISTORY OF SUCCESSFUL CROP PRODUCTION. TURKEY AND DEER ON PROPERTY. TWO BUILDING LOTS AVAILABLE. COURTESY: MARK D OLEJNICZAK REALTY, INC.
A BIG PIECE OF COUNTRY HEAVEN JUST BECAME AVAILABLE! JUST MINUTES FROM HIGH CLIFF STATE PARK AND CALUMET COUNTY PARK ALONG WITH NOT TO MENTION LAKE WINNEBAGO &AMP; . . .
85 +/- ACRES OF LAND, OF WHICH IS APPROXIMATELY 83 ACRES OF TILLABLE AND 2 ACRES OF WETLANDS. ADDITIONAL ACREAGE AVAILABLE ADJACENT TO THIS LAND. LOCATION!!! A SCENIC 55 ACRE PARCEL OF LAND LOCATED APPROXIMATELY A MILE FROM CITY LIMITS, APPROXIMATELY 51 ACRES IS TILLABLE. THE PROPERTY HAS A 32X26 SHED WITH . . .
50+ PRODUCTIVE, TILLABLE ACRES LYING NICELY. MAJOR SOIL TYPES ARE SATTRE, PLAINFIELD, HUBBARD, SANTIAGO AND FREEON SILT LOAM. LAND IS RENTED FOR THE 2018 CROP YEAR. DEER HUNTER'S DREAM PROPERTY. THIS 80 ACRE PARCEL IN THE TOWN OF NAVARINO HAS 36 TILLABLE ACRES WITH BALANCE WOODED INCLUDING OAK KNOLLS, RED MAPLE STANDS AND OTHER . . .
PRIME AGRICULTURAL LAND! OVER 33 ACRES OF TILLABLE ACREAGE. HERE IS A CHANCE TO OWN YOUR OWN SECLUDED VALLEY! EAST ACCESS WITH A LONG NARROW VALLEY WITH APPROX 8 ACRES OF TILLABLE LAND PERFECT FOOD PLOTTING. FIVE BRUSHY POINTS . . . POSSIBILITIES AWAIT! LOCATED JUST MINUTES FROM FOND DU LAC, THIS BEAUTIFUL 29 ACRE PARCEL IS IDEAL. CURRENTLY ZONED AGRICULTURAL WITH 29 TILLABLE ACRES. ENJOY THE TRANQUILITY OF YOUR OWN BABBLING CREEK AFTER A LONG DAY OF HORSEBACK RIDING ACROSS THE BEAUTIFUL ROLLING ACREAGE! BUYER &AMP; BUYERS AGENT TO VERIFY ALL . . . APPROXIMATELY 60 ACRES LOCATED ON A DEAD END ROAD BETWEEN PLUM CITY AND ELLSWORTH. APPROXIMATELY 20 ACRES TILLABLE AND APPROX. 40 ACRES WOODED. PROPERTY HAS TOP ACCESS . . . 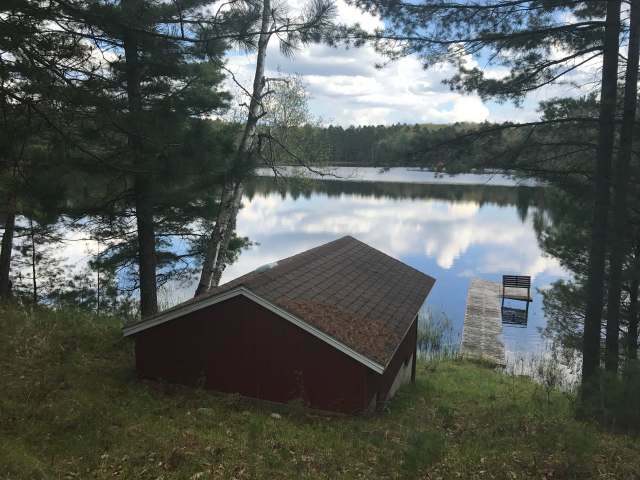 HERE IS YOUR OPPORTUNITY TO OWN 30+ ACRES OF YOUR VERY OWN PRIVATE RETREAT ON THE OCONTO RIVER WHERE YOU CAN HUNT AND FISH OUT YOUR BACK DOOR. ROUGHLY 19 ACRES ARE . . . ABSOLUTELY STUNNING ACREAGE WITH A MIX OF WOODS AND OPEN LAND HOST ENDLESS OPTIONS FOR BUILDING, RECREATION, HUNTING, FARMING, CROP RENT AND MORE. BREATHTAKING HIGH . . .
START YOUR HOBBY FARM! 76 ACRES TO FARM OR USE TO HUNT AND HIKE. APPROXIMATELY 37 TILLABLE ACRES. GENTLY ROLLING LAND WITH SCENIC VIEWS. QUICK ACCESS TO I-94 FOR EASY . . .
ENGINEERING HAS BEEN COMPLETED FOR ROAD. PRELIMINARY SURVEY HAS BEEN COMPLETED FOR 17 SINGLE FAMILY SITES. CURRENT ACCESS TO ACREAGE IS VIA 66' DRIVEWAY EASEMENT. WHEN . . .
65 ACRES APPROX. 40 AC. TILLABLE, APPROX. $4000/YR INCOME. BUILDABLE, HUNTING OR FARMING. COME SEE THIS BEAUTIFUL, SCENIC 40 ACRES, WITH A VARIETY OF TOPOGRAPHY. LAND HAS SOME TILLABLE, WOODS, PASTURE, AND PARKER CREEK RUNS THROUGH A PORTION OF THE PROPERTY . . . STUNNING 100 ACRE RECREATION PROPERTY BORDERING ROCK FALLS WILDLIFE AREA. THIS PROPERTY HAS EXCELLENT HUNTING WITH A GREAT MIX OF HIGH AND LOW LANDS. POTENTIAL FOR . . . FANTASTIC HUNTING/RECREATIONAL PARCEL! APPROX 40 ACRES OF WOODED AND TILLABLE LAND W/DENT CREEK RUNNING THROUGH IT. THERE IS AN EASEMENT FOR ACCESS OFF DENT CREEK RD AND . . . 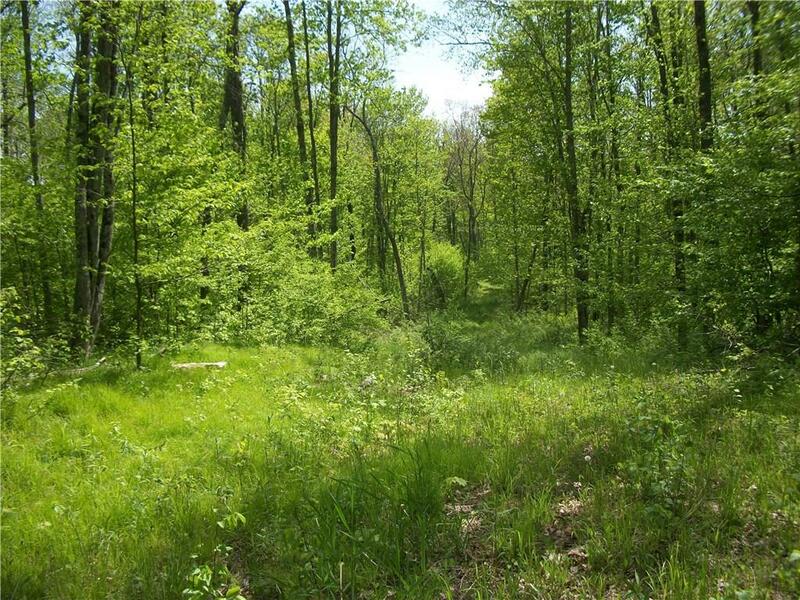 HERE IS A GREAT HUNTING AND INVESTMENT PARCEL LOCATED 15 MINUTES NORTH OF GREEN BAY. 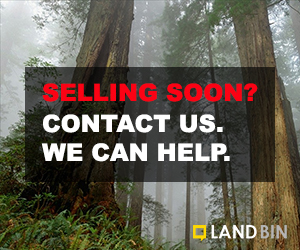 THERE IS APPROXIMATELY 30 ACRES OF TILLABLE LAND CURRENTLY RENTED FOR $150.00 PER . . .
APPROX 50 ACRES WITH A MIXTURE OF TILLABLE, PASTURE, WOODED, WETLANDS, AND OTHER LAND. GREAT RECREATIONAL PROPERTY WITH SO MANY TYPES OF LAND. PROPERTY IS LOCATED JUST . . .
AN IDEAL PROPERTY FOR THE WILDLIFE ENTHUSIAST? 80 ACRES INCLUDING 20+ OPEN/TILLABLE, THE BALANCE BEING MATURE HARDWOODS. AN EXTENSIVE NETWORK OF TRAILS ALLOWS EASY . . .
38.73 ACRES OF BUILDABLE LAND WELL SUITED FOR A HOBBY FARM OR HORSE FARM. TILLABLE LAND COULD BE RENTED FOR INCOME. SOIL TEST WILL LIKELY BE SUITABLE FOR A MOUND SYSTEM. . . .
54 ACRES WITH APPROXIMATELY 1900 FT OF WATER FRONTAGE ON WHITE LAKE (PER GIS MAP). INCLUDES A MIX OF TILLABLE LAND &AMP; WOODS. A CHANNEL RUNS FROM THE LAND TO WHITE . . . LOOKING FOR THE PERFECT HUNTING PROPERTY FOR DEER, WATERFOWL, TURKEYS OR PHEASANTS? YOU FOUND IT! BEAUTIFUL 80 ACRES OF LAND BORDERING THE PUCHYAN MARSH. 2 TILLABLE . . .
APPROX 20 ACRES OF LAND W/APPROX 15 ACRES TILLABLE AND 5 ACRES WOODED. BUILDING POSSIBILITIES. APPROX 700 ACRES OF PUBLIC LAND TO THE SOUTH OF THE PARCEL. LOTS OF DEER . . .
35+ QUIET COUNTRY ACRES. 35.96 ACRE OFFERING A SPRING FED POND WHICH ATTRACTS DEER, TURKEY, GEESE AND DUCKS - GREAT FOR HUNTING. SPRAWLING OPEN LAND OFFERING MANY . . . THIS LOT IS IN 3 PARCELS, 6.9,11.8,40. PLEASE SEE SUPPLEMENTS FOR MAP AND MORE INFORMATION. ALMOST ALL IS TILLABLE AG LAND- HAS HAD BEANS AND CORN ON IT. GREAT LOCATION . 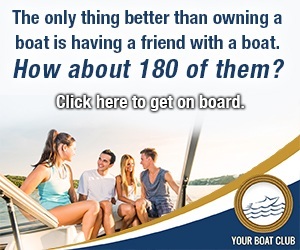 . .
DON�T LET THIS ONE PASS YOU BY! BEAUTIFUL 19.542 ACRES LOCATED IN THE TOWN OF GLENMORE - DENMARK SCHOOLS. 18.5 ACRES OF TILLABLE 1 ACRE OF WOODS PER APPRAISAL. SCENIC 40 ACRE PARCEL WITH A MEANDERING CREEK THROUGH THE MIDDLE IS MOSTLY WOODED WITH APPROXIMATELY 9 ACRES TILLABLE! FORMER HOBBY FARM SETTING WITH ELECTRICITY AT . . .
TILLABLE ACREAGE IN SOUTHERN DOOR COUNTY. GREAT BUILDING OR HUNTING SITE LOCATED ONLY MINUTES TO THE BAY OF GREEN BAY. BEAUTIFUL COUNTRY VIEWS IN EVERY DIRECTION. 50 ACRE SETTING 12 MILES SOUTH OF CLAIREMONT AVE IN DRAMMEN TOWNSHIP. SITTING AT THE END OF A TOWN ROAD ADDS PRIVACY AND SECLUSION. 33+/- ACRES TILLABLE AND 17+/- ACRES . . .
CONVENIENTLY LOCATED 1 MILE OFF OF HWY 57. LIKELY BUILDABLE PER SELLER. DEER, TURKEY, AND OTHER WILDLIFE ARE ABUNDANT. PARCEL IS CURRENTLY BEING RENTED FOR THE TILLABLE . . .
42.1 ACRES (PER ASSESSOR). 41.60 OF THE ACRES ARE IN THE TOWN OF SENECA IN GREEN LAKE COUNTY. 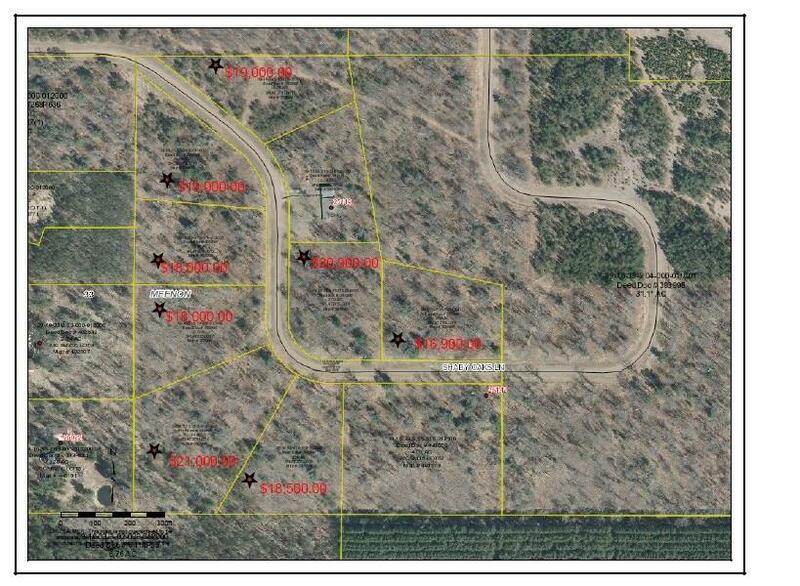 1/2 ACRE IS IN THE TOWN OF MARION IN WAUSHARA CO. SOME WOODED, OPEN, . . . COURTESY: FIRST CHOICE REALTY, INC. SPACIOUS, OPEN AND TILLABLE 28.32 ACRE PARCEL. CORNER LOT WITH EASY ACCESS FROM EITHER COUNTY T OR W. TOWN LINE ROAD. INCLUDES A 28 X 73 STORAGE BARN. THIS PROPERTY HAS . . .
BEAUTIFUL 55 ACRES LOCATED IN SAWYER COUNTY, WIS. 20 ACRES INCOME PRODUCING TILLABLE GROUND. 35 ACRES HEAVY WOODS. 1600 FEET OF FRONTAGE ON THE CHIPPEWA RIVER. BIG TIME . . .
LAND BORDERS COUNTY RD W AND 80TH AVE. NICE ROLLING PROPERTY. HIGH SPOTS WITH GREAT VIEWS. MIXTURE OF OPEN AND WOODED LAND. APPROXIMATELY 25 TILLABLE ACRES. BUILD, HUNT, . . . APPROXIMATELY 17 ACRES ALL TILLABLE. EXACT ACREAGE TO BE DETERMINED BY CSM GREAT PLACE TO BUILD YOUR DREAM HOME IN THE COUNTRY!! APPROX 1 ACRE OF WOODS WITH BALANCE TILLABLE FARM LAND. 35 ACRES OF AG GROUND WITH 22+ NEW TILLABLE. ANOTHER 5 TO 8 ACRES COULD ALSO BE TILLED. PROPERTY IS ACCESSED BY A 66' WIDE EASEMENT. ATTENTION HUNTERS! ENJOY THIS AMAZING 51 ACRE PARCEL! GREAT HUNTING WITH THE MARSH LAND, TILLABLE ACREAGE, WOODED AREA AND A CREEK. EVERYTHING THE DEER, TURKEYS, DUCKS . . . 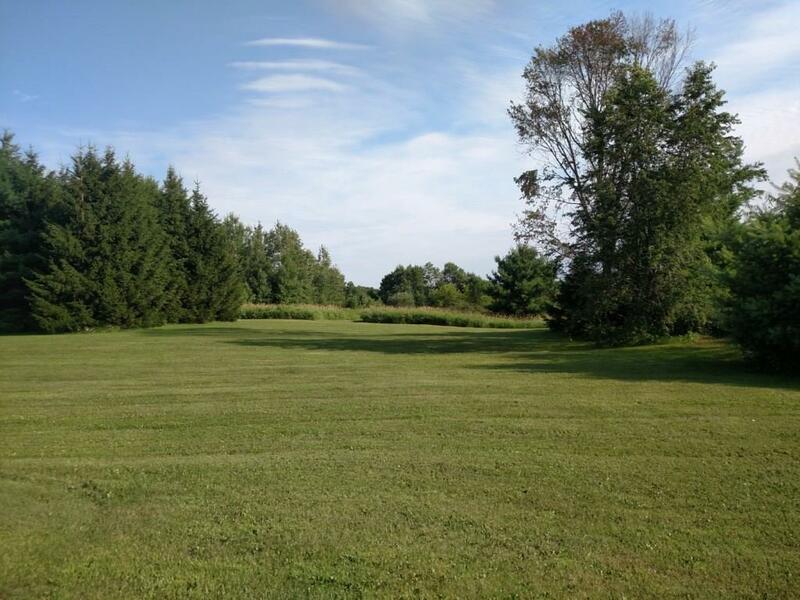 BUILD YOUR DREAM HOME ON THIS AWESOME 17.69 ACRE PARCEL OF COUNTRY LAND BORDERING BOTH COUNTY ROAD EE AND RIVERVIEW DRIVE IN THE TOWN OF RUBICON, THERE ARE APPROVED PERC . . .
40 ACRES JUST OUTSIDE OF WILD ROSE. ABOUT 2/3 TILLABLE &AMP; 1/3 LOWER LAND. CURRENTLY RENTED OUT TO LOCAL FARMER. RENT COVERS TAXES. GREAT ROAD FRONTAGE ON TWO SIDES. 8 . . .
20 ACRES LOCATED JUST EAST OF GILMANTON ON 121. ACREAGE HAS A GREAT SPOT TO BUILD A HOME ON THE WEST END OF PROPERTY. MATURE PINE TREES BREAK THE TILLABLE FIELDS INTO 3 . . . ACREAGE WITH NUMEROUS OPTIONS. TILLABLE FARM LAND OR IMPRESSIVE BUILDING SITE IN A GORGEOUS RURAL SETTING. PARCEL OF LAND IS SUBJECT TO A SURVEY WITH ESTIMATED ACREAGE . . . EXCELLENT BUILDING SITE. 26.5+ ACRES WITH APPROXIMATELY HALF TILLABLE, 5 ACRES WITH TREES AND THE REST PASTURE LAND. LOCATED ACROSS THE ROAD FROM CADY CHEESE, JUST A FEW . . .
COUNTRY 29 ACRES ,TILLABLE ,BUILDABLE , HUNTABLE ,DEVELOP TO YOUR NEEDS ? HIGH LAND ,TREE LINES AND LOWER LAND TO DIG FOR PONDS ? THIS PROPERTY IS LOCATED BETWEEN . 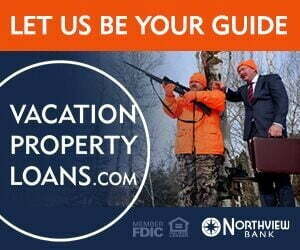 . .
GREAT HUNTING LAND CLOSE TO THE CHIPPEWA VALLEY! MANY LARGE BUCKS AND A 500# BLACK BEAR HAVE BEEN HARVESTED ON THIS LAND. LITTLE DRYWOOD CREEK RUNS THROUGH THE PROPERTY. . . .
40 ACRES OF HUNTING GROUND. THERE IS A SMALL CHUNK OF TILLABLE NEAR THE ROAD THAT COULD BE A FOOD PLOT. AMPLE NUMBERS OF DEER AND TURKEYS. MIX OF MARSH GRASS, CATTAILS, . . .
GREAT OPPORTUNITY TO BUY 35.65 ACRES WITH A NICE MIXTURE OF 11.75 ACRES TILLABLE, PASTURE AND EAU GALLE RIVER FLOWS THROUGH. CLOSE TO I-94 FOR COMMUTING, AMAZING . . . LIST PRICE $84,900 W/AN OPENING BID $79,900. PROPERTY MAY BE SOLD ANY TIME PRIOR TO EVENT. OFFERS ARE SUBJECT TO SELLER'S APPROVAL. HUNTERS DREAM LAND. GO &AMP; HUNT! . . .
20 ACRE PRIME HUNTING LAND WITH ESTABLISHED TRAILS APPROX 5 ACRE BUILDING SITE &AMP; TILLABLE CROP LANDS: APPROXIMATELY 15 ACRES HEAVILY WOODED. HIGHLANDS, WETLANDS WITH . . .
14+ ACRES LOCATED EAST OF WAUPACA. APPROXIMATELY 10 ACRES ARE TILLABLE AND RENTED TO AN AREA FARMER. REMAINING ACRES ARE LOWER AND COULD POSSIBLY MAKE A GREAT PLACE TO . . .
15 ACRES OF HIGH PRIME TILLABLE CROP LANDS. SUBJECT TO CROP RIGHTS IF NOT HARVESTED PRIOR TO CLOSING. GREAT FOR CROPPING OR FUTURE COUNTRY BUILDING SITE. 6 MILES FROM . . . CHECK IT OUT! 19+ ACRES. THE TIME IS NOW TO MAKE THE MOVE. SPRING IS RIGHT AROUND THE CORNER AND SOON THE GROUND WILL BE READY TO BREAK TO MAKE WAY FOR YOUR BEAUTIFUL, . . .
LakePlace.com participates in Northeastern WI Association of Realtors Broker Reciprocity (sm) program, allowing us to display other broker's listings on our website. Information deemed reliable but not guaranteed. Information is being provided for consumer's personal, non-commercial use.